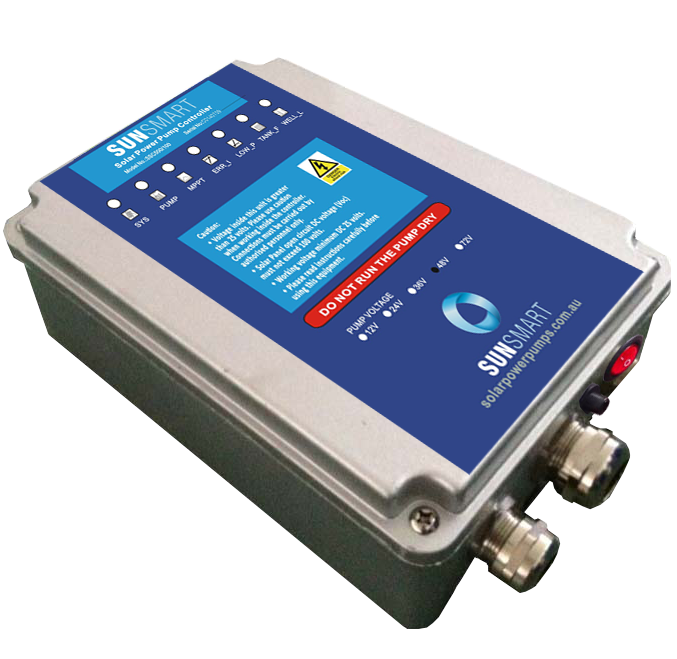 A Complete Cleaning Solution with Unbeatable Value! Specifically designed with the residential pool owner in mind, the 120 Series iCleaner robotic pool cleaner transforms pool cleaning from a chore, to an activity even the kids will want to do. 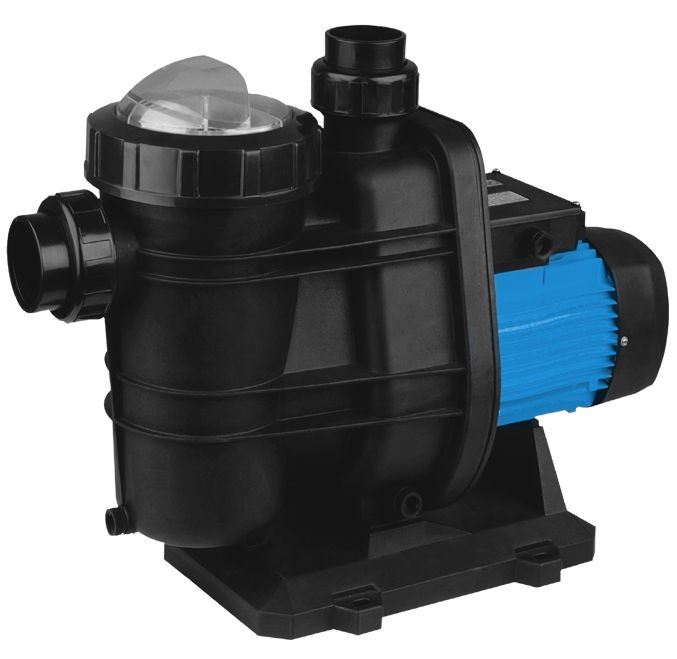 With the iCleaner in your pool, your family and friends can enjoy a cleaner, safer swim. 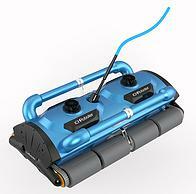 The Powerful twin drive motors give you exceptional maneuverability and climbing capability, and the dedicated high capacity filter bag and a systematic cleaning program, the iCleaner 120 robotic pool cleaner will economically and efficiently clean your pool and improve the quality of your water. 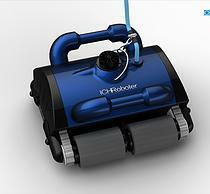 With the hand held, full function remote control, you can even steer your robotic pool cleaner to “target clean” the pool just prior to jumping in. 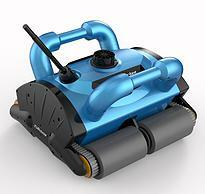 If you are considering investing in a robotic pool cleaner, you deserve the whole package. 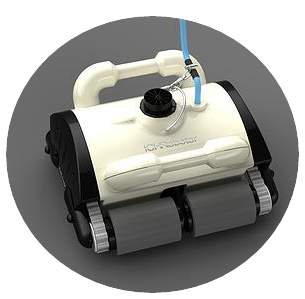 All robotic pool cleaners in the iCleaner range come standard with the Remote Control for target cleaning, twin drive motors, suitable for all pool shapes (even lap pools). 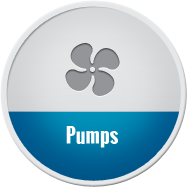 and a dedicated water pump for outstanding climbing capability. The sponge wheels are suitable for all pool surfaces. 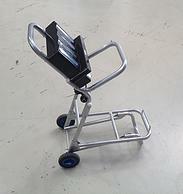 Complete with a caddy makes for easy transportation and storage. 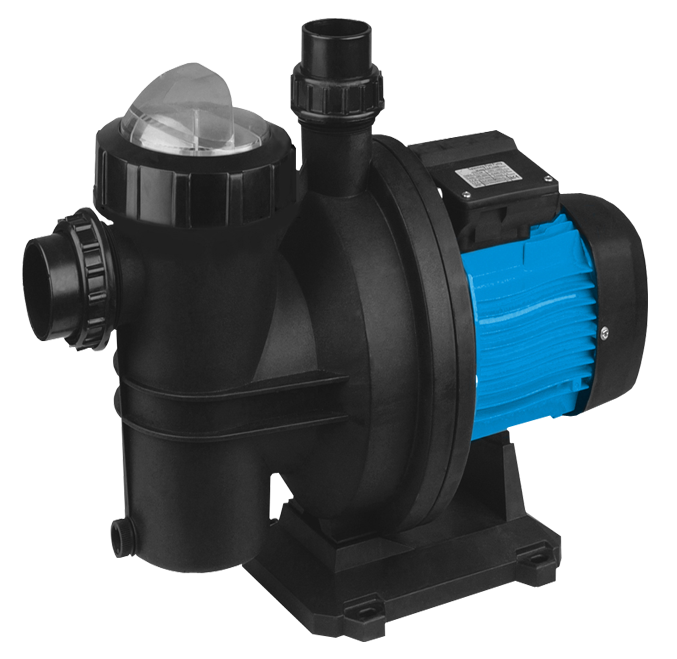 To top it off, the iCleaner comes with a floor only option for that “quick clean” when you need the bottom of the pool cleaned in a hurry. 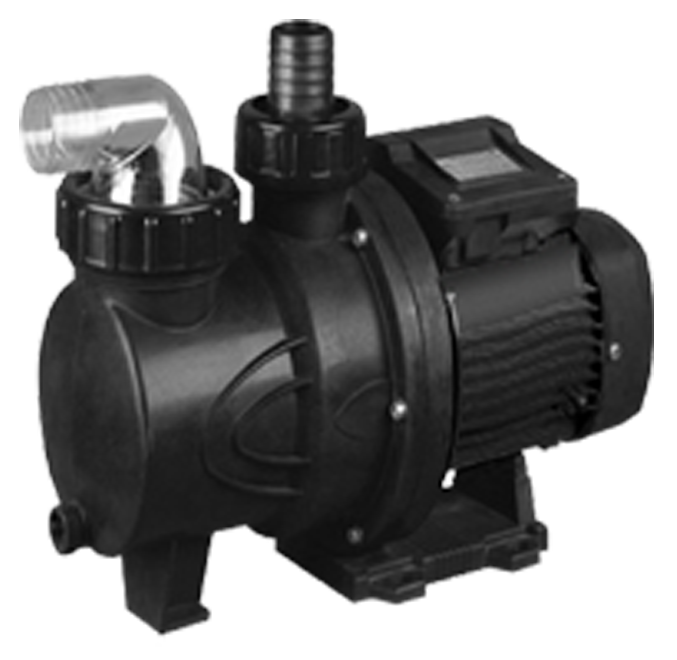 The savings don’t end with the purchase price, the 120 is designed for DIY servicing. Using basic tools from your tool kit, order the parts on-line, and perform the maintenance yourself. 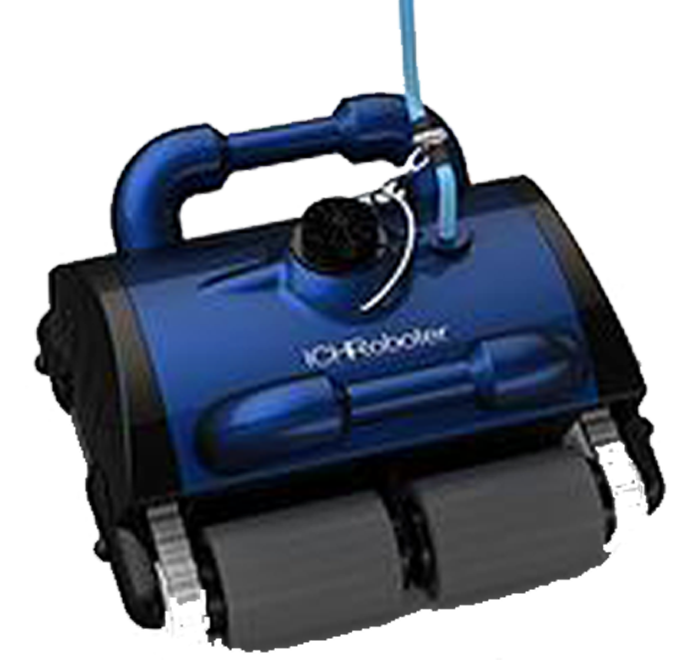 The 200 Series iCleaner robotic pool cleaner has been specifically designed to cope with the extra demands of large residential pools, through to small commercial complexes. Specifically designed for the Commercial environment, the 200D is ideally suited to pools as large as 50m in length. 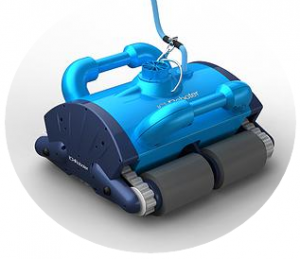 With its twin robots working in complete harmony, the 200D robotic pool cleaner cuts the cleaning time of the 200 series in half. 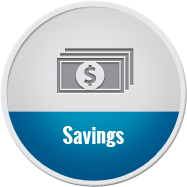 With the iCleaner in your pool, your clients will be enjoying a cleaner safer swim, whilst you enjoy the benefits and savings that only a robotic pool cleaner can provide.